Anytime you plan to tackle a large interior design project whether it’s a remodel or a complete renovation, having a professional by your side will be a big relief. They have the experience and knowledge to avoid the common mistakes that someone with no training often make. They already know what will and will not work and they’re familiar with all the latest technology and design trends. A professional can help you make those difficult decisions that leave you shaking your head in confusion. When you choose the right interior design firm, you’ll enjoy many benefits that will ensure your project turns out just like you planned. However, with so many different companies to choose from, it can be difficult deciding who to use. Fortunately, there are a few things that you can do to make this task a little easier. It just takes some patience to find the best service for your needs but it’s definitely worth the effort. Once you find the right design service, you can depend on these professionals to help with any project you undertake. From creating a design plan to decorating, these experts will offer their advice and expertise throughout the project. Do your research to find a reputable service you can trust. Look for experience, how long they’ve been in business and go over reviews from former clients to see what they have to say about the company. Set up a meeting to talk with the designers in person to go over the details of your project. Be sure to discuss time frames and budget. Feel free to contact us to set up a consultation to discuss your project in detail. Ask lots of questions and pay attention to how they react to them. Are they friendly? Do you feel comfortable talking to them? Take your time. You should never feel pressured to make a decision right away. Trust your decision. After you choose the design service for your project, trust them to do the job you hired them to do. After all, you did hire them for their expertise. Following these steps will help you find the right service for your needs regardless of what type of project you’re planning. When searching for the best design firm for your projects, find out what services they provide before making your decision. Choosing a firm that takes care of all your needs will take a lot of the stress and aggravation out of any interior design project. Here at J. Design Group our services include everything from concept development to clean up. 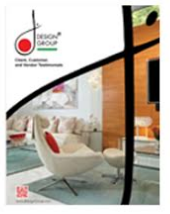 Professional Miami interior designers can provide tips and suggestions to enhance your overall design. They can take care of the details for you and help you find the best contractors for the job. They will work with you from the beginning of the project to the end to ensure you are thoroughly satisfied with the results. Working with a professional designer is a fun and exciting experience and these steps can help you choose the best design service for your needs.